Today, most Enterprises want a hybrid cloud model due to data regulatory or sovereignty requirements and unified application development needs. They look to run the same code in their data center as it is used in the public cloud. Few others want it for locations where network latency or unreliable connectivity makes cloud unfeasible and where public cloud like Azure is inaccessible. All the major cloud providers have their own on-premises story to tell, but Microsoft leads the competition. It is delivering a consistent private cloud experience using Azure Stack, enabling Enterprises to build innovative Hybrid cloud solutions. Preserve business sensitive data in on-premises data center of an Enterprise. Process on-premise data with Azure Cloud like capabilities. Host DevOps on a Private or Public Cloud. Seamlessly integrate on-premises and Cloud set-ups. Seemingly, Azure Stack helps resolve data distribution complexity with the Hybrid cloud model. As per a survey report by IDC, an exalted 73% of Enterprises are working on hybrid cloud strategy to adopt cloud capabilities. 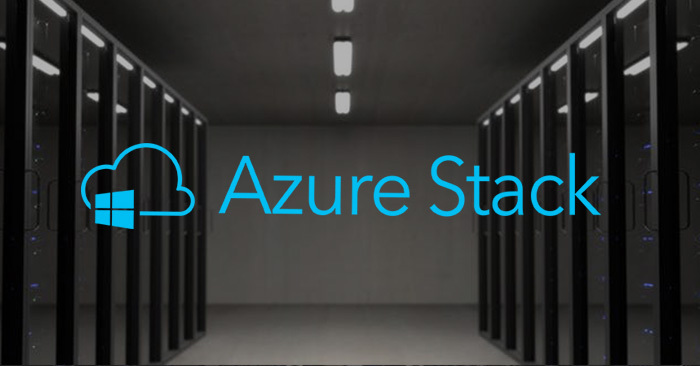 Microsoft envisioned Azure Stack as running Azure in your Data Center. Enterprises with legacy applications can realize the benefits of Cloud using Azure Stack. They can modernize their applications in-house utilizing replicated Azure infrastructure. This becomes easier as their entire Hybrid Model is fully equipped with IaaS and PaaS independently. Azure Stack provides options for a unified application code development by running the same code on Cloud or on-premise. It can also be used for ‘Edge Computing’ where there is no Cloud Connectivity. This is extremely beneficial for emerging domains like the Industrial Internet of Things. The aggregated analysis of Edge Computing data on Azure using AI, Machine Learning etc. completes the Hybrid Model. Azure Stack can also be implemented in Government projects, where, working offline is a security need. A Leading Utility service provider wanted to deploy a .NET application and Oracle 12c on private data center, to overcome challenges involving security, latency & performance. Read the success story to know how the Azure consulting team has leveraged Azure Stack to address these challenges. Reinforced by Microsoft’s security aspect innovations like, 'Assume Breach & Hardened by Default,' Azure Stack assures optimum security grade to an organization’s data center. Azure Stack also extends its security to OEM’s components maintaining a solid security loop. Azure Stack is further integrated with a plethora of software & developer tools along with open source technologies to build, deploy and maintain applications with lightning speeds. Since Azure Stack is a private extension to Azure, applications can easily be delivered to a Public or a Private cloud; thereby leading to a Hybrid Cloud success story. Building powerful Enterprise-grade solutions using public or private cloud is a crucial undertaking. Our team of Azure consultants can help you in architecting cloud adoption strategy or hybrid cloud model, to develop Azure solutions and realize the true benefits of cloud. Many Fortune 500 companies like Cisco, Dell, and Lenovo have already begun utilizing Azure Stack to realize the benefits of robust hybrid cloud model. With Azure Stack, organizations are well positioned to choose a mixed bag of Microsoft’s Cloud inventory, thereby to achieve organizational goals. Azure Stack is facilitating a balance between on-premise and Cloud allowing enterprises to build functional products whilst keeping the development part of it well under control.